All hair types are classifed along a continuum from bone-straight (Type 1) to tight coils (Type 4), the type of hair most common on people of African heritage. Each class includes A, B and C types of hair that further define different types of hair. Among Type 4s, A is considered the finest texturally, possessing an "S" pattern in the strand, while type 4B/C hair has a wirier "Z" pattern. This structure makes it susceptible to damage and prone to breakage. Special care needs are required to keep 4A hair healthy and beautiful. Type 4A hair is delicate hair that requires special handling, especially when wet. Shampooing 4A hair will cause its tightly coiled strands to contract lengthwise and be prone to tangling. The salts in most shampoos that make the suds we all associate with a good cleansing can dry out 4A hair and react to the chemical relaxers many women with 4A hair use to straighten its natural curl. 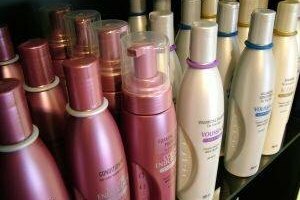 Shampoos containing sulfates should be avoided or used infrequently and rinsed thoroughly. While shampooing, 4A hair should be agitated as little as possible to prevent tangling of the hair strand. Hair washed frequently doesn't need to be agitated to get clean. Let the water wash away the week's buildup of hair products and use a small quarter-size amount of shampoo, concentrating on the scalp rather the hair itself. Rinse thoroughly. Type 4A hair requires constant conditioning, not only after washing when wet but also between washings as part of a daily hair care routine. After washing, apply a good conditioner on the hair. Use a protein condition if hair seems weak with more breakage that usual. Otherwise, use a moisture conditioner. Moisture conditioners should be used more often than protein conditioners. Daily conditioning treatments are needed to keep 4A hair looking well-groomed and healthy. A moisturizing leave-in conditioner spray can be used to moisturize the curl prior to styling. Depending on individual preferences, silicone serums, hair oils or pomades and conditioning crèmes can be added to the ends of 4A hair to help keep them supple. Everyday grooming requires special handling of Type 4A hair to keep it from breaking. Hair should be combed in small sections, starting at the ends and moving toward the roots. A large-tooth comb should be used with 4A hair. Brushing should be avoided as a routine method of styling 4A hair. It's important to avoid putting tension on the hair daily with ponytails or styles that pull on the hair.